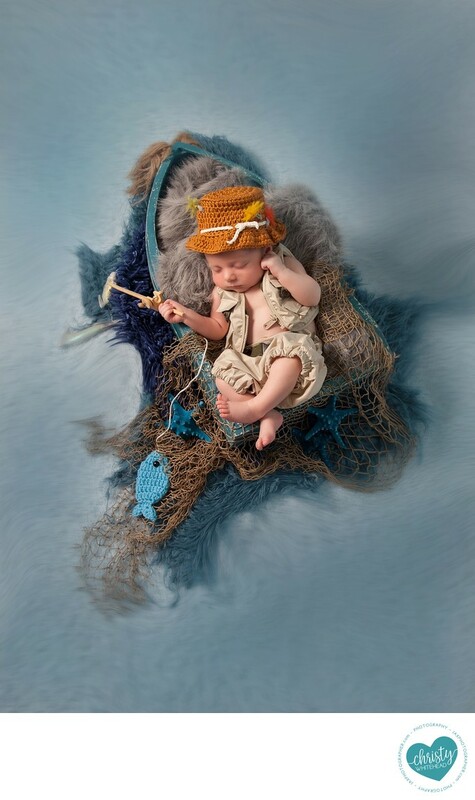 Little Fisherman Newborn Set With Boat - Newborn Photography | Schedule Your Newborn Shoot Today! I have three boats in the studio to use as props as well as a mini fishing rod and the little outfit. Parents brought hat and fish. The background was altered in photoshop to give it more of a water effect. As Jacksonville's best newborn photographer I try to make every session completely custom to each parent's likes from simple and clean to complex.